I need a waterproof phone for the Coast to Coast sponsored walk. 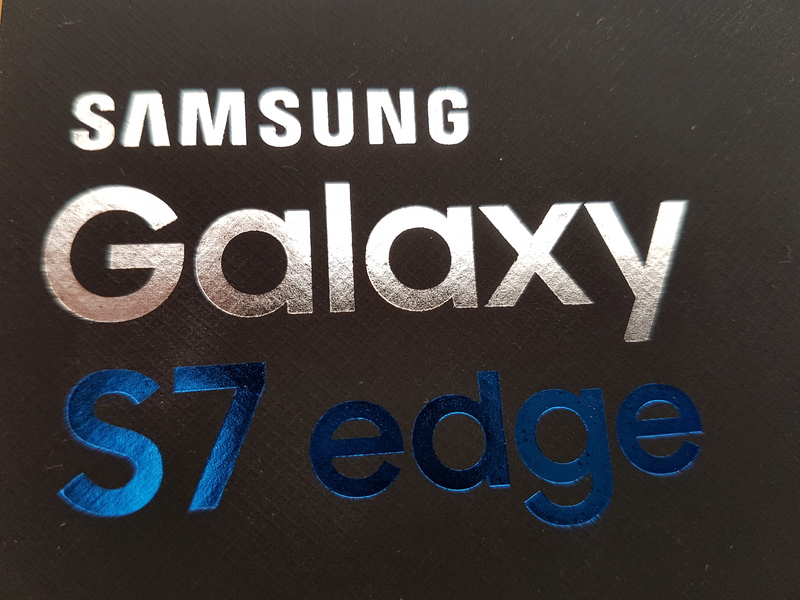 The new Samsung Galaxy S7 Edge is a bit of a result. It feels great in the hand and the camera would appear to be top notch. I did um and ah a bit before buying it as it comes with a hefty price tag – £630 from EE including a PAYG starter SIM which I don’t need but that was the deal. My previous two phones have been the Oneplus1 and Oneplus2. As value for money they have been great and both are still usable. Once I’ve had the Oneplus2 screen repaired that is – it’s biggest weakness appears to be it’s poor resistance to a bit of rain. The Oneplus2 was also not the most reliable phone – kept locking up when using Runkeeper I needed it for taking photos. This is whilst I’ve been out on my Coast to Coast training walks. I’m hoping that in the Galaxy S7 Edge I have a phone that will do the job for me on the actual coast to Coast walk. The Oneplus 2 is billed as a flagship killer. It isn’t. It is almost there but misses a few finesses. One has to remember it is less than half the price of the S7 Edge. Not being waterproof was a killer for me. Once repaired I’m going to use it as a backup and a second phone when travelling – the two SIM trays was very useful. I’d use my EE SIM for calls and texts and a local in country SIM for data. Roaming data charges are total ripoffs. I suspect the battery capacity of the Edge is only just going to be ok. It is now 10am and the battery is at 65% charge. I charged it up yesterday evening and it lost maybe 10% just sat there overnight. This, I assume is down to the lock screen data which I guess I could disable. I’ll leave it as is for now. It isn’t a problem at the moment. The fingerprint recognition works really well on the Samsung. It feels as if it is an improvement on the Oneplus. I did look at the iPhone but tbh that was too big a jump for me. I am now the possessor of a high end Macbook Pro. Most of my pals in the networking industry use such a device. I now consider that I have the right laptop and phone. The chromebook can stay as a backup and will also probably be the laptop i take with me on the Coast to Coast – I don’t want to risk the Macbook Pro being nicked in transit between B&Bs. It does mean my video editing capabilities will be constrained for coast to coast blogging purposes but I can stick to one take videos which is what I do now. One of the things that has amused me is the presence of Microsoft Office apps on the Edge. I abandoned Microsoft years ago now and won’t go back. The icons have been moved to a safe place. Ditto the Samsung Apps. Don’t forget that in May I am doing the Wainwright Cast to Coast Sponsored walk in aid of Cancer research UK. This is in memory of my Mam Eileen who died one ear ago to the day of the start day of y Coast to Coast walk. She was an active fundraiser and Chairman of the Marown and District Branch of the IoM Anti Cancer Association. I am being accompanied on the walk by my son Tom and two friends Mark and Luke Agius. If you want to support the cause the please go to the JustGiving page.